For Abby Nathanson, 17, and best friend Ruby Garland, 17, baking cakes is a bittersweet tribute to a woman who was known not only for her love of creating sweet treats, but also her warrior-like attitude and determination to beat one of the deadliest cancers in the world. 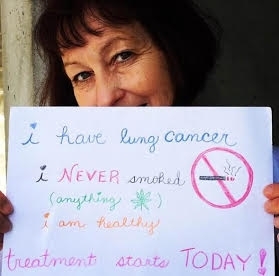 In 2013, Abby’s beloved aunt Jodi Nathanson was diagnosed with stage 4 non-small cell lung cancer. When traditional treatment stopped working, Nathanson enrolled in clinical trials at USC and UC Irvine to take advantage of potentially life-saving experimental treatments. But, after 18 months of fighting the disease, Nathanson lost her life at the age of 51, leaving behind a young son and daughter. 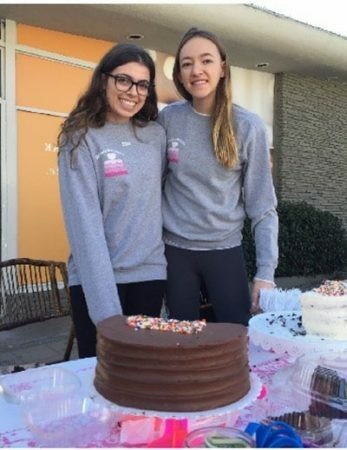 Cakes for Cancer founder Abby Nathanson, left, and club vice president Ruby Garland, wanted to make a difference. They started by making a cake. After struggling with her aunt’s death, Abby decided that the best way to honor Nathanson’s memory was to continue her passion of baking cakes and selling them to benefit lung cancer research at the UCLA Jonsson Comprehensive Cancer Center (JCCC), which is located in close proximity to Marymount High School, where Abby and Ruby will be incoming seniors in the fall. Abby asked her friend Ruby to help launch Cakes for Cancer by starting a club at their high school to recruit fellow students. At first, the teenagers were a little pessimistic about gaining support from classmates—and were shocked when 116 girls volunteered. 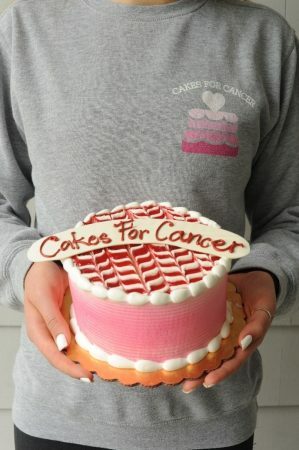 Most of the cakes have the slogan Cakes for Cancer written on the top with frosting and all sorts of different designs on them. The teens bake the cakes at Abby’s home and then sell them at school or the Pacific Palisades Farmers Market. In less than a year, Abby and Ruby were surprised that they were able to raise more than $10,000. Abby’s passion for this fundraiser has grown stronger in the past few months, after she found out that another loved one also has been diagnosed with late-stage lung cancer. “My grandmother’s heart-wrenching diagnosis emphasizes the importance of funding cancer research so that doctors can find a cure,” said Abby. 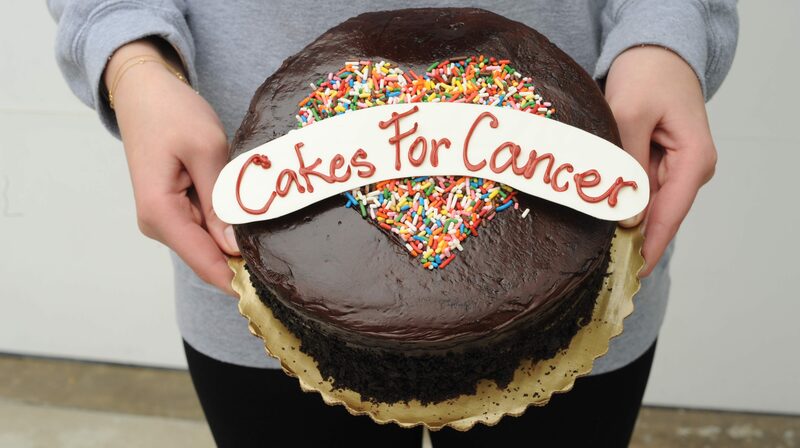 The money raised from Cakes for Cancer continues to support cancer research at UCLA through the Jonsson Cancer Center Foundation (JCCF), the fundraising arm of the JCCC. "Abby and Ruby are inspirational that philanthropy can begin at a young age and that fun endeavors can actually be a part of defeating cancer," said Margaret Steele, Executive Director of the JCCF. " The funds they're raising will help support early experimental research and ideas that might not otherwise be supported through traditional sources. They're already making a difference – or, as they often say, “Baking a Difference!" 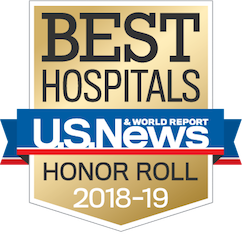 In August 2016, Cancer care at UCLA, supported by the JCCC, was recently ranked fifth by U.S. News & World Report as one of the top cancer hospitals in the United States. To help fund cancer research at UCLA, visit the UCLA Jonsson Comprehensive Cancer Center website or the Cakes for Cancer website for more information about upcoming bake sales.